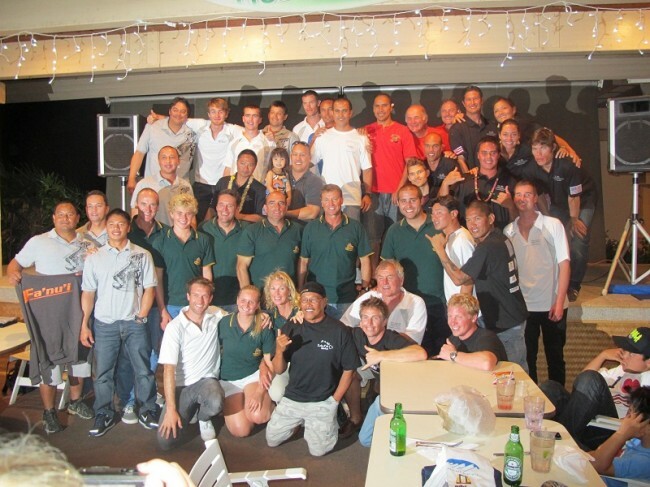 Well, after an interesting 10 days in Hawaii I am now back in Brisbane with a final update on the 2012 Interpacific Spearfishing Championships. Hawaii itself is amazing, and the people there are some of the nicest I have ever met! 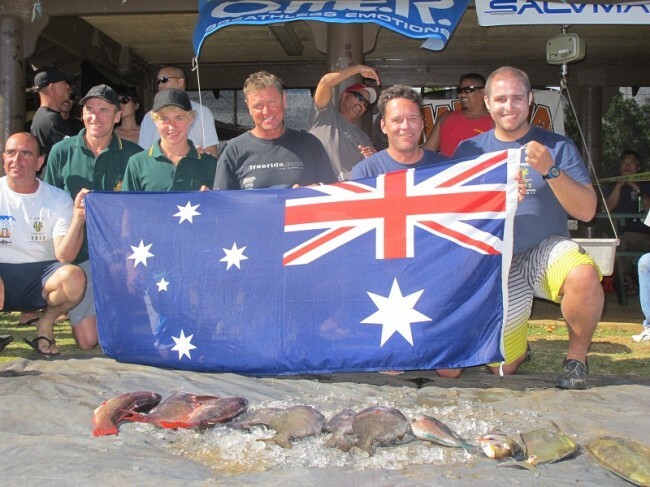 I always feel like these competitions are more of a family reunion than an international spearfishing tournament. The atmosphere between the seven countries can be tense during the competition days, but as soon as that is all over it is time to kick back with cocktails in hand, have a laugh and catch up on the last 12 months of each other's lives. The competition this year was held in Poipu on the island of Kaua’i. Kaua’i is THE WETTEST place on earth – literally. Unfortunately for us, they had just had their entire annual rainfall in the 3 weeks leading up to our arrival. This meant some major flooding, 50km winds and 1ft of visibility for much of the competition. Luckily, by the time the guys competition rolled around they were able to get offshore and find 15m in some places. Still, despite hard diving, the fish numbers were slim for the most part! Australia left with great result of 5th place. 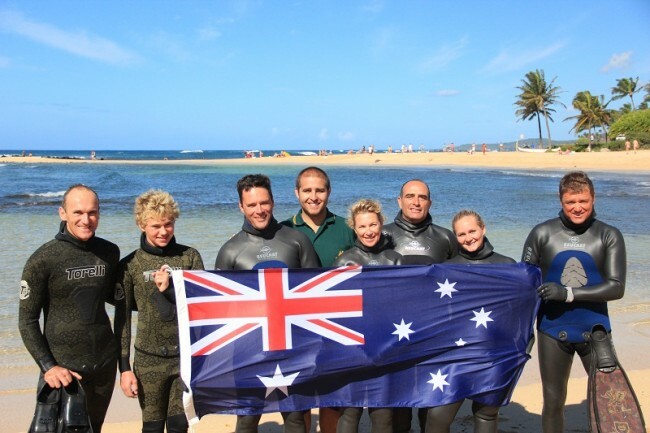 Australia is known for placing quite well in the Interpacific Championships. In fact, we have won more times than any other country by far and the last 5 out of 6 years we have taken home the trophy. This year's let down was due to a few factors, including dirty water and rough conditions, with the fish being only out deep. Not to worry though. 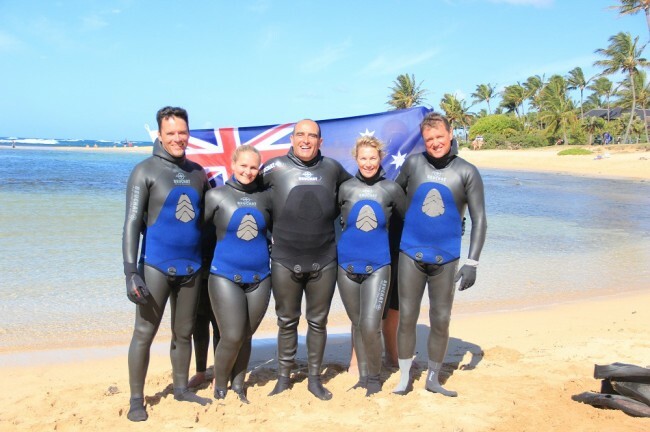 Next year the competition will be held in Australia and we are looking forward to selecting the Australian team and showing Guam, Tahiti, New Caledonia, Hawaii and New Zealand how amazing Australian spearfishing is!